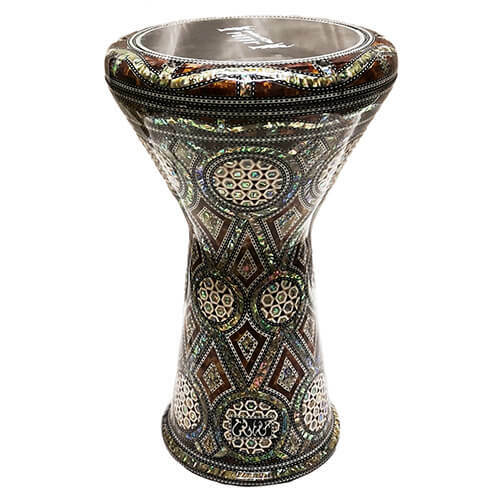 This darbuka is an exclusive model created specially for Sons de l'Orient. An amazing work is done with blue mother of pearl on the top and bottom of the darbuka with a wonderful gradient from black to bloody red color. Unique design never made before. 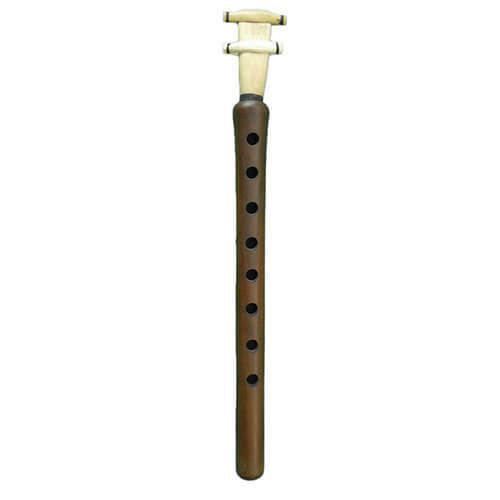 It is one of the few models with the new varnish of Gawharet El Fan (brighter and "smoother"), and the finishing is perfect. It is also delivered with a special padded bag, an extra spare and a key. 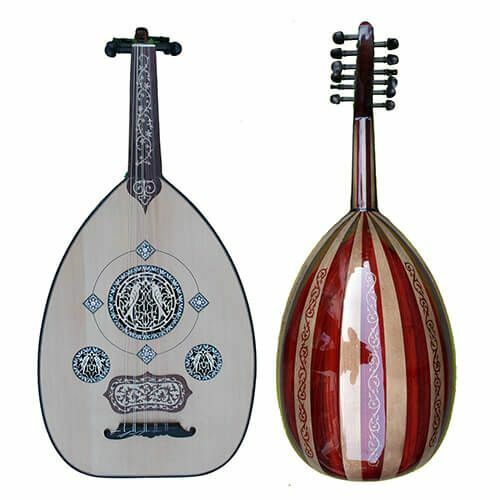 This darbuka is a brand new model handmade by Gawharet El Fan, it is covered with blue mother of pearl and it is one of the most beautiful and most original model around.